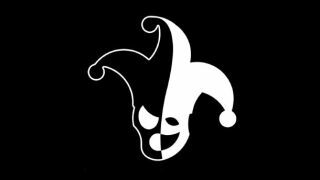 Fool's Theory is a new studio made up of "AAA veterans," including former CD Projekt Senior Quest Designer Jakub Rokosz, who wanted to give the indie life a try. IMGN.PRO is the developer and publisher of Kholat, a horror-adventure we described in May as "Dear Esther meets Sean Bean." The two of them (Fool's Theory and IMGN.PRO, not Sean Bean and Esther) are now working together on a new project that hasn't been announced yet. But there's a countdown! "We started working on a game that will be a daring combination of some isometric genres. I don’t want to reveal too much details at this point other than we're developing the game on Unreal Engine 4," Rokosz, the founder of Fool's Theory, said in a statement. "It was a natural choice for us, taking into consideration how experienced the team is in working with this tool. I can assure you that the game will break some proven schemes and we'll be revealing more information about it very soon." The countdown site doesn't offer much beyond the clock (currently with just short of 25 days remaining), a very murky background image, logos, and a place to sign up for the newsletter. That is, I admit, not much to go on, but I am cautiously optimistic about whatever they're whipping up for a couple of reasons. CD Projekt is hardly the worst studio to come out of, for one thing, and Kholat, as I understand it—I haven't had the pleasure of trying it for myself yet—is apparently kind of bizarrely good. Based on those two factors alone, I'm interested. My quick-and-dirty math tells me that the countdown will hit zero on August 17. We'll let you know what comes out the other side.